The northern diamondback terrapin is an imperiled species of turtle found in brackish coastal waters along the northeast coast of the United States. Within New Jersey, much of the nesting habitat once used by terrapins has been lost to development and rising sea level. What little suitable nesting habitat remains is often inaccessible to terrapins due to bulkheads or other construction and road mortality is a major cause of terrapin mortality as they cross roadways seeking nesting sites. Screen-shot of the Turtle Gardens story map. Turtle gardens provide suitable nesting habitat for diamondback terrapins where little natural suitable habitat remains or is inaccessible. By enhancing the existing habitat at a site within the terrapin’s range to meet their nesting habitat requirements, terrapins can more safely lay their eggs within an area specifically set-aside for them. CWF recently partnered with the Marine Academy of Technology and Environmental Science (MATES) on a pilot project turtle garden on Long Beach Island in New Jersey. The newly released Turtle Gardens story map details this project. Over the years, CWF staff have worked with a number of marine biologists in order to monitor seal populations in New Jersey and minimize disturbance or harm to them. Most recently, CWF held two workshops in 2014 to educate first responders on handling marine mammal (and sea turtle) strandings. We’re continuing our efforts at educating the public about these amazing animals with our “Harbor Seals in New Jersey” Story Map. A Story Map is a web-based interactive map embedded with multimedia content, such as text, photographs, and video. This Story Map provides general information about harbor seals: where they live, how they live, and what dangers they face in the wild from both predators and humans. Luseal and Seaquin also have pages devoted to them, with photos and interesting facts about their lives and behaviors. Visit the multiple pages of the Story Map! Marine Mammal Conservation at Conserve Wildlife Foundation. Michael Davenport is the GIS Program Manager for Conserve Wildlife Foundation of New Jersey. Data nerds rejoice! Today, Wednesday, November 19 is GIS Day. Geographic information systems (GIS) technology helps our wildlife biologists protect rare species throughout New Jersey. GIS technology is used to create our species range maps and other important tools that show where wildlife occur and what habitat they need to exist. 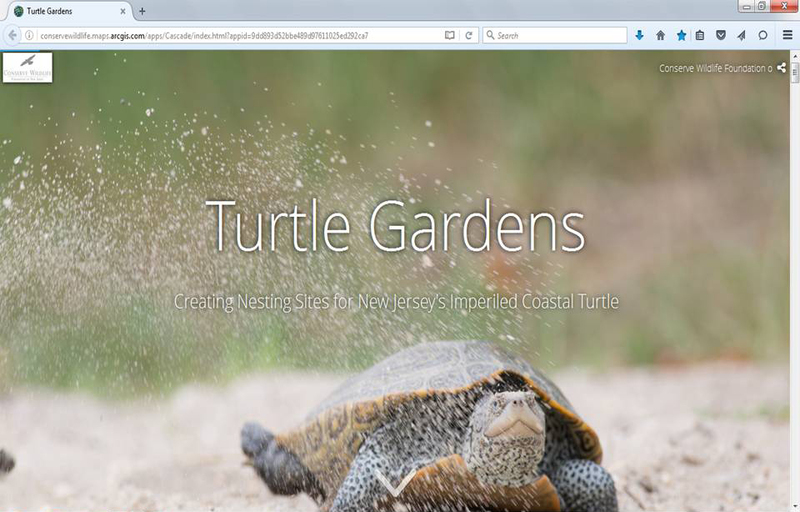 Conserve Wildlife Foundation is a key player in updating the NJ Endangered and Nongame Species Program’s (ENSP) database of rare wildlife species. The database called “Biotics” is a GIS and Oracle-based system developed by NatureServe, the leading source of information on the precise locations and conditions of rare and threatened species and ecological communities in the Western Hemisphere. Although CWF and ENSP biologists submit a majority of the data on Biotics, we rely on the help of citizen scientists to fully understand the wildlife picture in New Jersey. Do you want to help biologists monitor certain areas of the state and locate the presence of species of concern? Visit our website to learn how you can get involved. In addition to the Biotics database, GIS was used to create range maps for all 190 species featured on our online field guide! Check it out. Have you seen our American Oystercatcher Story Map? GIS was used to create that tool as well! A Story Map is a web-based interactive GIS map embedded with all kinds of content, like text, photographs, and video. “American Oystercatchers Through the Seasons” tells the story about a species of migratory bird, the American Oystercatcher, which spends the summer breeding season along the New Jersey coast, and is present year-round along the southern New Jersey coast. Learn more about our Story Map. This GIS Day, take a look at all of the maps around you and consider supporting additional Conserve Wildlife Foundation Story Maps!